This year's Spring Senior Pet goes to Clifford Warren. 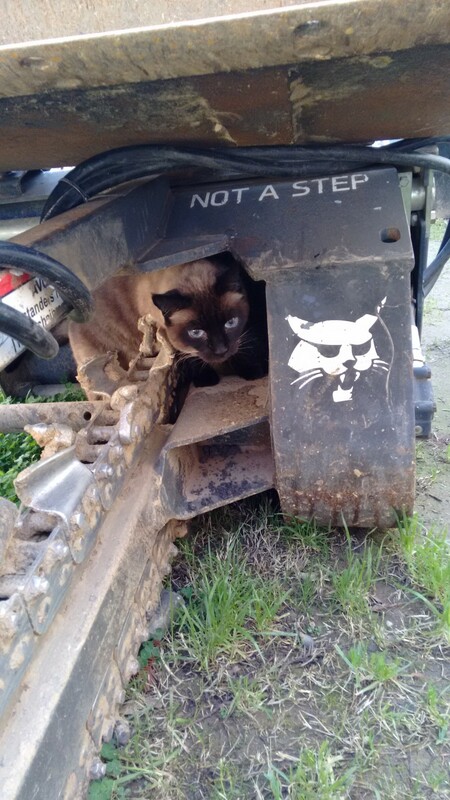 Clifford is a handsome 14 year old Siamese cat. Clifford became a part of the Warren Family about 4 or 5 years ago when his prior owner had passed away. 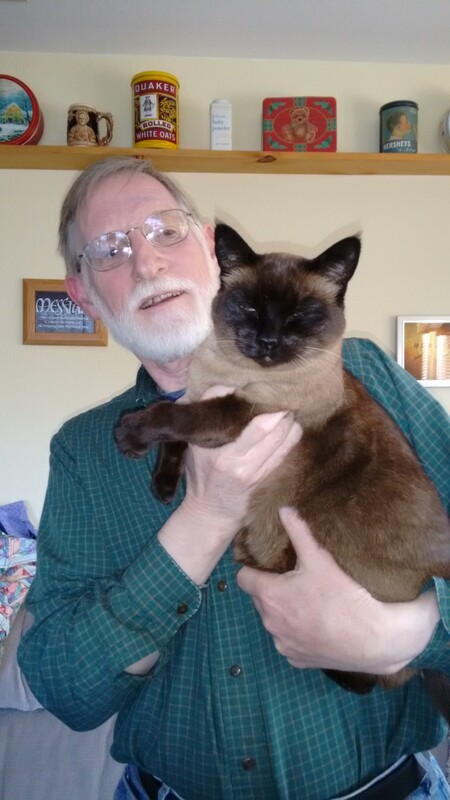 The Warren's decided to adopt him as a companion for their beautiful older Siamese cat Koko. 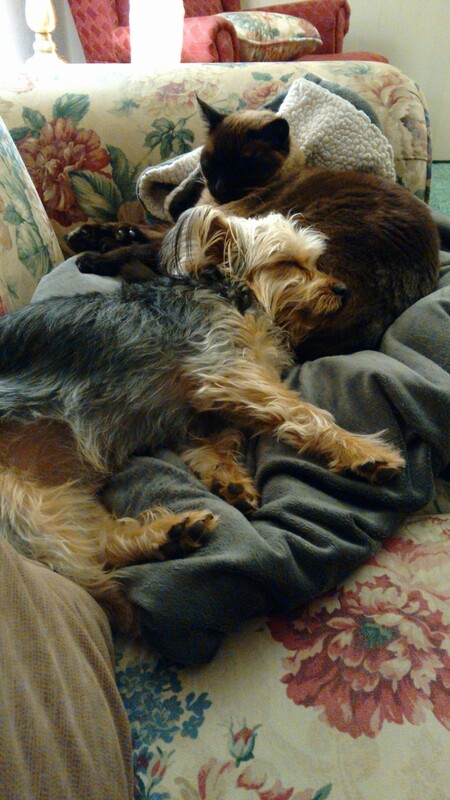 The Siamese twins got along great and were buds up until the day Koko passed. Now Clifford has a new bud a 10 month old Yorkie named Kirby. They play together throughout the day and enjoy sleeping together at night. Clifford is an easy going type of guy who loves to nap in the warm sun, eat whenever he can and follow his people around "talking" to them. Clifford is quite the cat. The Warrens have chosen to participate in our Senior Care Program for the last few annual visits. By doing the Senior Care Program Level 1 we send blood and urine to the lab for analysis. Dr. Raymond had diagnosed Clifford with Hyperthyroidism in 2013 along with some urinary issues. Hyperthyroidism is common in cats; it is a benign tumor on the thyroid gland which causes it to make too much thyroid hormone. This can cause weight loss and even heart or liver problems if not treated. Clifford is doing well he takes his medication and his condition is well controlled. Clifford's most recent blood work analysis Dr. Raymond found that he also has kidney disease, another common illness in aging cats. Fortunately the only treatment he needed was to adjust his diet to help makes things easier on his kidneys. Dr. Raymond will continue to monitor and may need to adjust treatments as time goes by. Thankfully BCPH and the Warren Family will be there to help him in any way. Clifford is a super senior! We are proud to have a hand in his well-being.